on third party sites such as Trip Advisor. We are all about sharing the wonders of Costa Rica in a unique way - your way. Our goal is to listen to your needs and combine it with our local expertise to create an extraordinary experience for you. "Twenty years from now you will be more disappointed by the things you didn’t do than by the ones you did do. So throw off the bowlines. © Copyright . 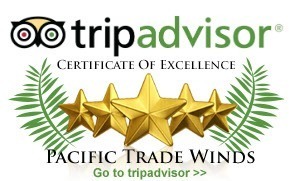 All rights reserved by Pacific Trade Winds Costa Rica Vacations. We specialize in assisted independent travel, providing affordable and creative services tailored to each client’s needs.